Square Invoices just got even better. You can set up recurring payments to automatically get paid each month, week, day, or even year. With this new feature, there’s no need to chase down clients, take cards over the phone, or reenter the same info month after month. It’s billing made simple. Invoices, including recurring payments, are always free to send. Our rates are very competitive, and you get paid fast. And now you can do this in our invoicing app. Square Invoices is a hugely popular way for sellers to get paid. Last month alone, 600,000 invoices were paid to sellers. They’re safe, secure, and easy for you and your clients. Not sure how to set up recurring payments? Don’t worry, we’ve made it easy and simple, so you can get paid fast and get back to the more interesting parts of running your business. Not a Square seller yet? Sign up for your free account here to set up an unlimited amount of recurring payments for free - only pay for invoices that are paid. Quick reminder: It’s best practice to have a customer sign a credit card authorization form before charging a customer’s card on file. You can find credit card authorization forms here. 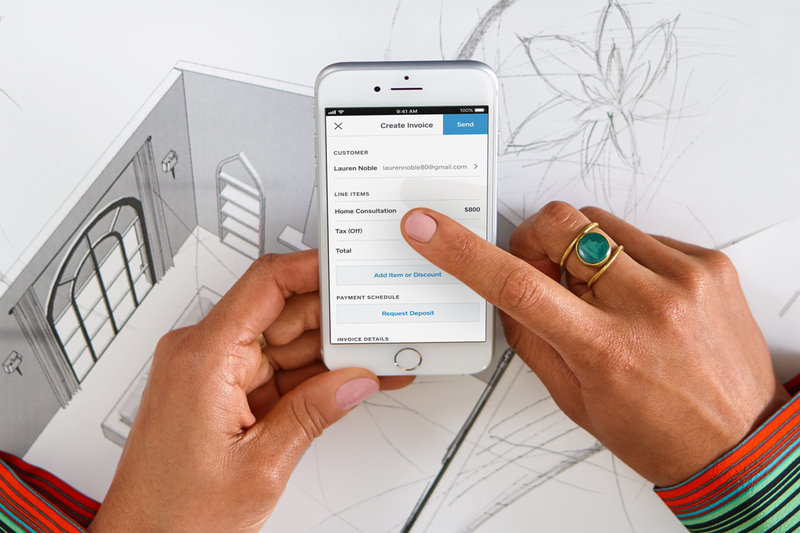 Setting up recurring payments with Square is easy. Invoices are free to send and you pay a competitive processing rate only when they’re paid securely online. You can set up recurring payments to be automatically emailed to your clients at the frequency you choose. Or you can print them out and deliver them to a job site. If your customers store their credit or debit card info on file, recurring payments are paid automatically. Invoices are always free to send and there’s no cost for recurring payments. If customers pay securely online with a credit or debit card, you pay 2.9% + 30¢ per invoice. When customers authorize you to securely store a card on file, you pay just 3.5% + 15¢ and get paid even faster. Funds paid by invoice are deposited directly into your bank account in one to two business days. That’s faster than leading competitors, which take anywhere from two to five days. If you need your funds immediately, try our Instant Deposit feature — your money will be in your bank account in less than a minute. Instant Deposit even works on the weekend and costs just an additional 1% of the total deposit amount.